TASTE ANALYSIS: Are you a chocolate lover? If so,you will love our rich chocolate pleasure. If you're new to vaping, it's possible you may feel a bit overwhelmed. But that's okay! 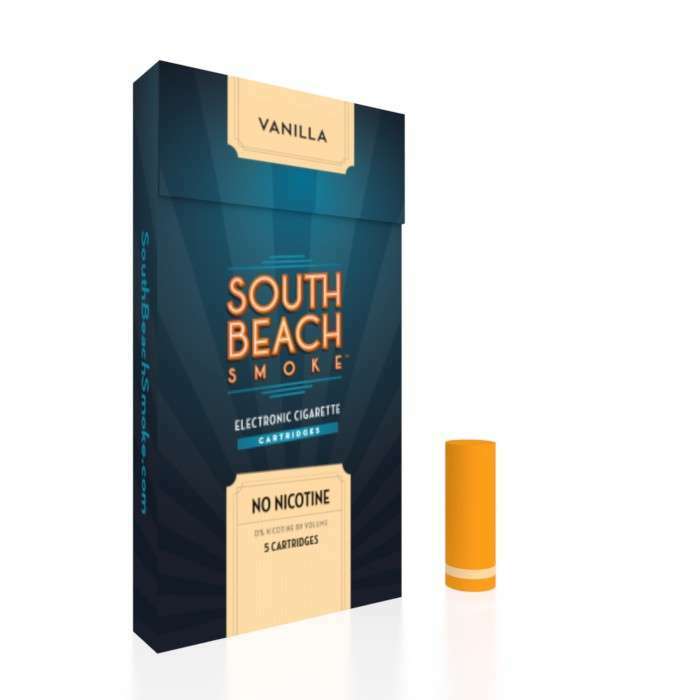 Thanks to the excellent lineup of solid kits at South Beach Smoke, getting your start has never been easier. In each of our starter packs, you'll find a battery, charger, and a selection of cartridges that contain nicotine and e-liquid. Charge your battery, connect a cartridge, and you're all set! Simple, practical, and delicious. Vaping has never been this easy! Here at South Beach Smoke, we're on your team! If saving money while switching from smoking is one of your goals, be sure to check out our Rewards program! By saving money on every purchase, while also earning Rewards Points, you'll be well on your way to saving loads of money in no time. Enrolling is a breeze and you can save money on your very first purchase. For many smokers looking to switch to vaping, choosing a simple kit and a healthy selection of variety is the best way to make the transition. Our e-cig cartridges are specially designed using our patented Vapor-Flo technology to offer maximum flavor with minimum hassle. This ensures a consistent, reliable, and flavorful experience you can trust. Cheaper and more effective than smoking, vaping truly is a viable alternative. Having a smoke after a meal is one of the most common rituals for smokers. While nicotine can pose its own challenges, often the rituals we create while smoking must be changed and or broken in order for us to be successful. A dessert-flavored juice can make a huge difference for those with an after-meal habit. By enhancing the moment with a delicious flavor, you come to adjust to and enjoy the new routine much more. Acting like a pleasant reward or treat, your mind may begin to prefer the overwhelming richness and decadence of chocolate over smoking as time goes by. 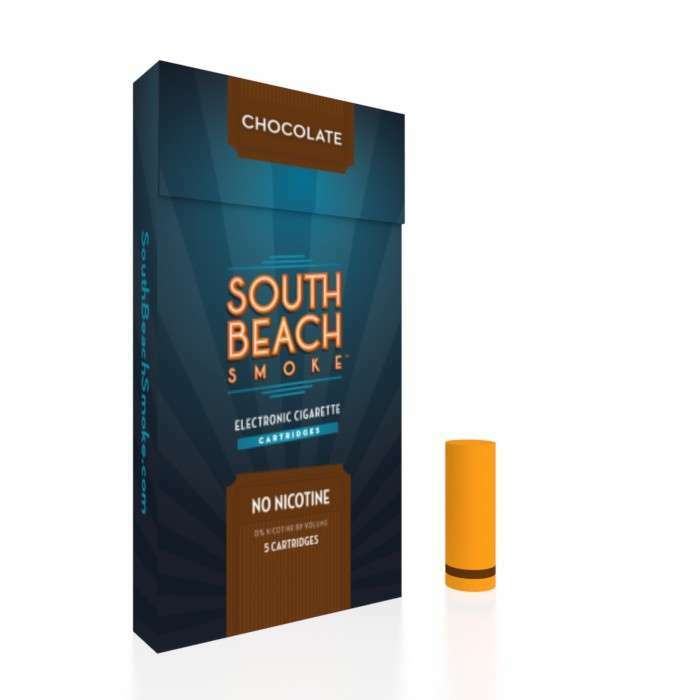 When it comes to chocolate, the carefully crafted Deluxe Chocolate flavor from South Beach Smoke is one of the best chocolate e-cig cartridges on the market! This expertly blended profile recreates the delicate layering of milk chocolate with deep and rich chocolate undertones that are sure to have you coming back for seconds in no time! For those that prefer the lighter side of dessert, the decadent and fluffy sweetness of our Deluxe Vanilla may be just the tasty treat you need to kill those pesky cravings once and for all!